One of the greatest challenges in health care today is improving access to care for rural, underserved urban and uninsured populations. Increasingly, health care systems are expected to deliver cost-effective quality care to more people. To meet this demand, health care systems often rely on digital health information and tools to enhance continuity of care and increase efficiency, timeliness and reach.2 One promising tool, telehealth, is an alternative-care model that can be deployed to address access-to-care issues for hard-to-reach populations, such as the residents of the Texas–Mexico border. Some people who hear the terms “telehealth” or “telemedicine” express concerns that it means there is less in-person contact with a health care provider. Patients want a health care provider who is present, can interact personally with them and can perform a physical exam if necessary. However, telemedicine is not an either/or binary where the only options are to either meet with the doctor on a computer screen or meet in person at the doctor’s office. Most telemedicine programs, such as those highlighted in this publication, include a qualified health care provider who is physically present but also has the ability to videoconference with a supervising physician or specialist. Thus, telehealth is increasingly seen as an effective means for serving patients who are limited by poverty, geography, lack of insurance and debilitating health challenges. Many of these challenges are evident in the health disparities found on the Texas-Mexico border. The University of Texas Health Science Center at Houston School of Public Health defines health disparity as “diseases, disorders and conditions that are unique to, more serious, or more prevalent in subpopulations in socioeconomically disadvantaged and medically underserved, rural and urban communities.”10 The Texas–Mexico border has a high prevalence of diabetes and related conditions such as obesity, tuberculosis, depression and anxiety. 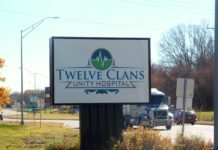 The region also experiences disparities related to access to care, such as a lack of access to health care facilities, a high uninsured population and a shortage of health care providers. Limited Access to Health Care. The Dallas Fed’s “Las Colonias in the 21st Century” report documented the issue of limited access to health care in the border region. The report cites county-level data; thus, it is relevant beyond the colonias to the wider border region. Three key challenges were noted. Third, there is a shortage of health care providers. The health care challenge is magnified in South Texas by the lower ratio of health care professionals in comparison with the rest of the state. These include physicians, dentists, physician assistants and nurse practitioners.20 For example, the entire border region is designated a mental health professional shortage area.21 With an increasing need for support and services for mental health issues associated with prevalent diseases along the southern border, the shortage of professionals to provide required care creates a particular challenge for the region. 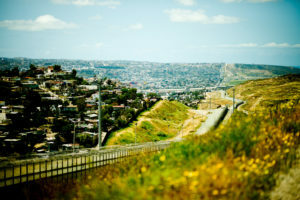 Tijuana neighborhood seen over border fence. Harnessing the promise of telehealth requires communities to first determine broadband availability—recognizing that sufficient and reliable broadband speeds are required to accommodate the use of secure videoconferencing and transmission of high-definition images commonly used in telehealth. It is also important for health care institutions to partner with local governments as they develop their digital inclusion plans to ensure broadband capacity and speed will support telehealth.30 31 A comprehensive guide to closing the digital divide is provided in “Closing the Digital Divide: A Framework for Meeting CRA Obligations.”32 The publication also describes an effort underway to expand broadband access and digital inclusion on the border in the section, Digital Opportunity for the Rio Grande Valley, South Texas. One of the key goals of the project is to create a robust fiber-optic network that will enable the use of telehealth throughout the border region. The digital divide presents a barrier to the use of telehealth in the border region. 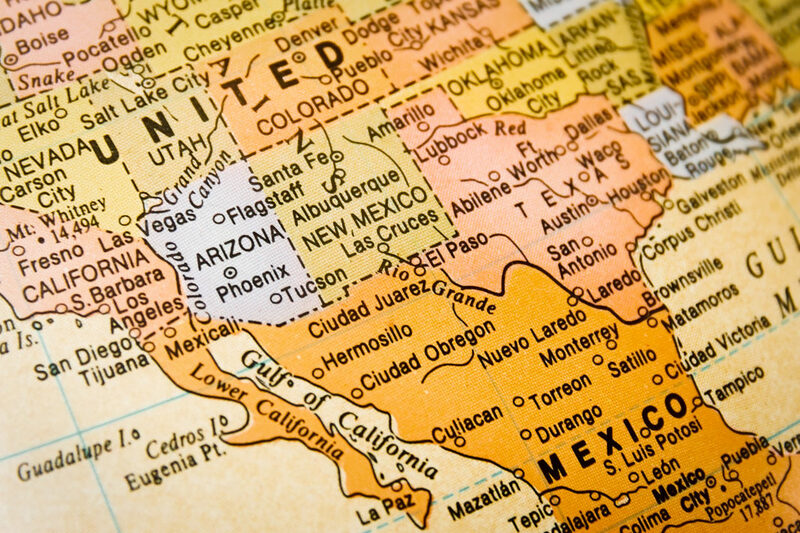 However, four accounts from various locations in the Eleventh Federal Reserve District demonstrate the opportunity for telehealth to address the specific health challenges that exist along the border. The initiatives described below are from both urban and rural geographies and represent efforts to use telehealth to reach the underserved. The colonias, the lowest-income communities of the border, have been a public health focus of government agencies, community advocates, elected officials and residents for over three decades due to the lack of basic infrastructure and substandard housing—and the impact of those conditions on health outcomes. An organization serving the colonias, La Union del Pueblo Entero (LUPE), is partnering with a regional hospital system to use telehealth to improve access to care. “We are the connectors,” explained Tania Chavez, systems strategist and development manager for LUPE. “We’re the middlemen between the community and the health system,” she said. LUPE is a community-based organization located in San Juan, Texas, in Hidalgo County. Its focus is to build stronger, healthier communities where residents use the power of civic engagement for social change. LUPE’s grassroots connection with the communities it serves has helped create access to valuable programs and services that have improved the quality of life in the border region. Health on Wheels (HoW) is a telehealth program administered by LUPE in partnership with Methodist Healthcare Ministries of South Texas Inc., the Valley Baptist Legacy Foundation and Doctors Hospital at Renaissance to broaden access to health care in low-resource communities. The mobile clinics operate out of a motor home retrofitted with high-definition videoconferencing equipment and state-of-the-art medical devices to offer general medical services, vision and specialty care. Services include low-cost vision exams and eyeglasses, diabetes prevention and care, women’s health and mental health care. Certified promotoras are a vital asset to the program as they successfully engage with the community to schedule appointments for the mobile unit, encourage attendance at health workshops and recruit future promotoras. 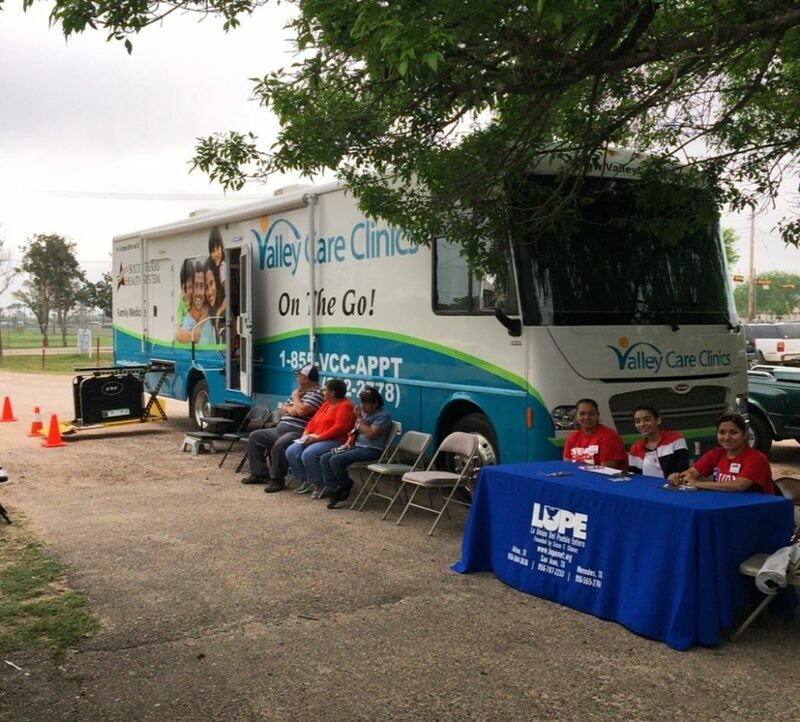 Prior to partnering with LUPE, Doctors Hospital at Renaissance was unable to attract patients to its mobile clinic. However, once the hospital partnered with LUPE, its mobile unit became an effective way for border residents to receive health care. The Rural Veterans Coordination Pilot Program (RVCP), operated by Volunteers of America North Louisiana in partnership with the Overton Brooks VA Medical Center in Shreveport, Louisiana, was originally a two-year program extended to three years that provided psychiatric services to veterans in underserved areas by using telemedicine to complement services offered at the VA medical center. The $2 million project, sponsored by the Department of Veterans Affairs (VA), outfitted a cargo van that served as a state-of-the art mobile clinic using satellite technology. At the mobile clinic, telemedicine appointments were facilitated by an on-site nurse or social worker and were videoconferenced from Overton Brooks VA Medical Center. This publication documents the positive role telehealth can play in serving populations most in need of quality and appropriate health care. LUPE’s HoW program, mentioned earlier, illustrates an important lesson: Technological innovations can be coupled with innovative community development approaches to reach low- and moderate-income populations. Furthermore, to unleash the full potential of telehealth, underserved urban and rural communities will need to address the digital divide. The significant role of broadband access to the provision of health services has led Mignon Clyburn, a commissioner of the Federal Communications Commission, to call broadband access one of the social determinants of health. Clyburn recognizes that broadband is critically important to health outcomes and must be addressed along with the other social determinants of health: physical environment, socioeconomic factors, health care access and health behaviors.46 While the digital divide can be a barrier to positive health outcomes, the reverse is also true. Closing the gap can transform the provision of health care on the border and achieve positive health outcomes for its residents. 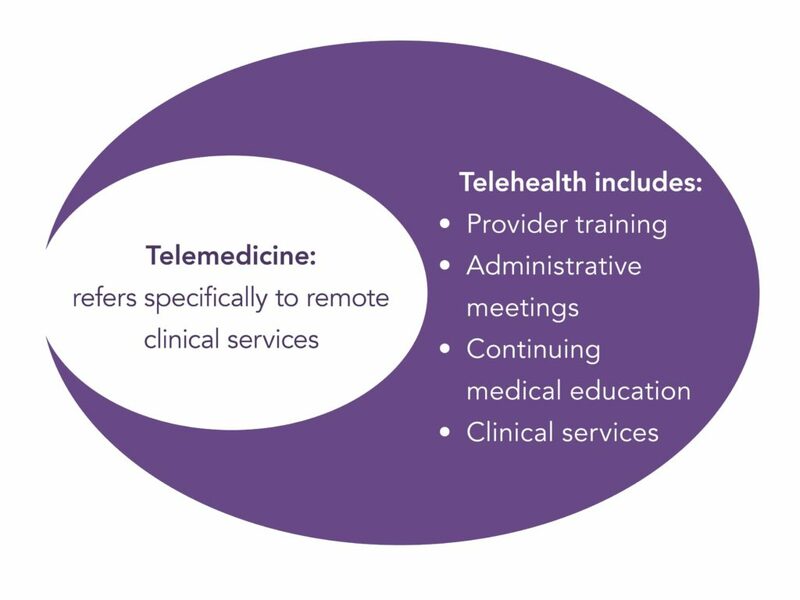 “Benefits of Telemedicine in Remote Communities and Use of Mobile and Wireless Platforms in Healthcare,” by Alexander Vo, G. Byron Brooks, Ralph Farr and Ben Raimer, University of Texas Medical Branch, 2011, https://telehealth.utmb.edu/presentations/benefits_of_telemedicine.pdf. United States Department of Agriculture, Economic Research Service. Persistent-poverty counties had poverty rates of at least 20 percent in each U.S. census, 1980, 1990 and 2000, and American Community Survey five-year estimates, 2007–11. Persistent poverty regions include: Central Appalachia, the Mississippi Delta, First Nation Communities (in New Mexico, Arizona and the Dakotas) and the Texas border region. “Las Colonias in the 21st Century: Progress Along the Texas–Mexico Border,” by Jordana Barton, Emily Ryder Perlmeter, et al, Federal Reserve Bank of Dallas, 2015, www.texascolonias.org. Robert Wood Johnson Foundation Commission to Build a Healthier America, www.rwjf.org/en/about-rwjf/newsroom/features-and-articles/Commission/resources/city-maps.html. 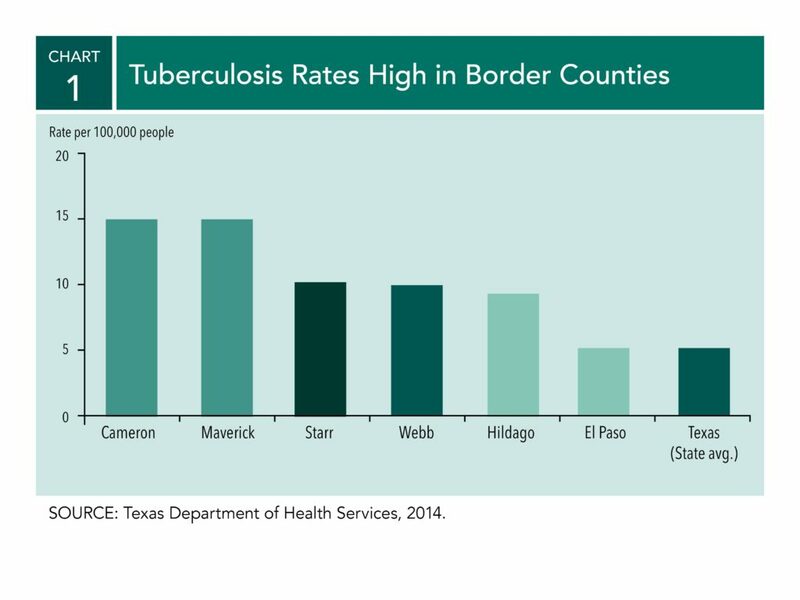 This publication includes health data from seven counties along the Texas–Mexico Border: Cameron, Hidalgo, Starr, Webb, Maverick, El Paso and Willacy, Regional Health Plan for Region 5 Community Needs Assessment, Professional Research Consultants, Aug. 31, 2012. Also, “What’s Next? Practical Suggestions for Rural Communities Facing a Hospital Closure,” Texas A&M University Rural & Community Health Institute (RCHI), 2017, recommends telemedicine as one of the viable solutions to the health care access challenge in rural areas, www.rchitexas.org/news-release/rural-hospital.html. “A Guide to Understanding Mental Health Systems and Services in Texas,” 3rd Edition, Hogg Foundation for Mental Health, 2016. “Benefits of Telemedicine in Remote Communities & Use of Mobile and Wireless Platforms in Healthcare,” by Alexander Vo, G. Byron Brooks, Ralph Farr and Ben Raimer, University of Texas Medical Branch, 2011, https://telehealth.utmb.edu/presentations/Benefits_Of_Telemedicine.pdf. “The Telehealth Promise: Better Health Care and Cost Savings for the 21st Century,” by Alexander H. Vo, AT&T Center for Telehealth Research and Policy, Electronic Health Network, University of Texas Medical Branch, May 2008, https://telehealth.utmb.edu/presentations/The%20Telehealth%20Promise-Better%20Health%20Care%20and%20Cost%20Savings%20for%20the%2021st%20Century.pdf. Lisa Mitchell-Bennett, “Evidence-Based Strategies to Change Behavior and Promote Health” (presentation delivered at the Rio Grande Valley Regional Convening at the University of Texas Rio Grande Valley, Sept. 14, 2017). Joseph B. McCormick, M.D., “Population Health in Cameron County: An Update from the Cameron County Hispanic Cohort Study” (presentation delivered at the Rio Grande Valley Regional Convening at the University of Texas Rio Grande Valley, Sept. 14, 2017). Regional Health Plan for Region 5 Community Needs Assessment, Professional Research Consultants, Aug. 31, 2012. Texas Department of State Health Services, 2014, www.dshs.texas.gov/. 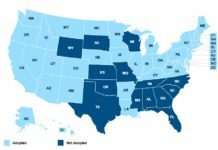 A discussion of the impact of the uninsured population relying on emergency room visits for primary care can be found in “Las Colonias in the 21st Century: Progress Along the Texas–Mexico Border,” by Jordana Barton, Emily Ryder Perlmeter, et al, Federal Reserve Bank of Dallas, 2015, www.texascolonias.org. “Closing the Digital Divide: A Framework for Meeting CRA Obligations,” by Jordana Barton, Federal Reserve Bank of Dallas, 2016, www.dallasfed.org/cd/pubs/digitaldivide.aspx. The Next Generation Network Connectivity Handbook: A Guide for Community Leaders Seeking Affordable, Abundant Bandwidth, by Blair Levin and Denise Linn, Benton Foundation, vol.1.0, July 2015, http://www.gig-u.org/cms/assets/uploads/2015/07/Val-NexGen_design_7.9_v2.pdf. “2016 Broadband Progress Report,” Federal Communications Commission, Jan. 29, 2016, www.fcc.gov/reports-research/reports/broadband-progress-reports/2016-broadband-progress-report. Pete Otholt (senior IT&S manager for Methodist Healthcare Ministries of South Texas Inc.), in discussion with the author, Sept. 20, 2017. “Health Care Just Became the U.S.’s Largest Employer,” by Derek Thompson, The Atlantic, Jan. 9, 2018. “At the Heart of Texas: Cities’ Industry Clusters Drive Growth,” by Pia Orrenius, Laila Assanie, et al, Federal Reserve Bank of Dallas, 2016, www.dallasfed.org/research/heart. Francisco Fernandez, M.D. (professor, Department of Psychiatry, Neurology and Neurosciences, University of Texas Rio Grande Valley School of Medicine), in discussion with the author, May 22, 2017. Closing the Digital Divide: A Framework for Meeting CRA Obligations,” by Jordana Barton, Federal Reserve Bank of Dallas, 2016, www.dallasfed.org/cd/pubs/digitaldivide.aspx. “In Mega-shelter for Harvey Evacuees, Telemedicine Plans to Help Doctors Keep Up” by Leah Samuel, STAT (Boston Globe Media), Aug. 31, 2017, www.statnews.com/2017/08/31/harvey-shelter-telemedicine/. “New York–Presbyterian Specialists Use Telemedicine to Treat Stranded Puerto Ricans” by Bill Siwicki, Healthcare IT News, Nov. 9, 2017, www.healthcareitnews.com/news/newyork-presbyterian-specialists-use-telemedicine-treat-stranded-puerto-ricans. The Texas Department of State Health Services defines promotoras as community health care workers who inform residents about health-related issues and who teach families health care literacy, Texas Community Health Worker Program, March 2014, www.dshs.texas.gov/mch/chw/Community-Health-Workers_Program.aspx. Tania Chavez, “La Union del Pueblo Entero Health on Wheels” (presentation delivered at the Rio Grande Valley Regional Convening at the University of Texas Rio Grande Valley, Sept. 14, 2017). “Interrupting the Cycle of Diabetes,” https://medium.com/@ibmcognitivebusiness/interrupting-the-cycle-of-diabetes-600380ddfd02. “A Chef Takes a Fresh Approach to Diabetes,” https://medium.com/cognitivebusiness/a-chef-takes-a-fresh-approach-to-diabetes-4235fad1f222. Bryan Byrd (executive vice president of innovation and new business development for Volunteers of America North Louisiana), in discussion with the author, Oct. 9, 2017. “For Rural Veterans, New Approaches to Health Care,” by Jen Fifield, the Pew Charitable Trusts, Aug. 3, 2017, www.pewtrusts.org/en/research-and-analysis/blogs/stateline/2017/08/03/for-rural-veterans-new-approaches-to-health-care. “Healthcare Council Features Project ETHAN (Emergency TeleHealth and Navigation),” Greater Houston Partnership, 2015, www.houston.org/assets/pdf/news/July-Healthcare-Council-Recap.pdf. 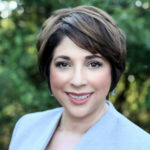 “Project ETHAN Telehealth Program Cuts Number of Emergency Department Transports in Houston,” by Karen Appold, ACEPNow, July 15, 2015, www.acepnow.com/article/project-ethan-telehealth-program-cuts-number-of-emergency-department-transports-in-houston/. Remarks of Commissioner Mignon L. Clyburn of the Federal Communications Commission at the Launch of the Mapping Broadband Health in America Platform, Microsoft Innovation and Policy Center, Aug. 2, 2016, https://apps.fcc.gov/edocs_public/attachmatch/DOC-340590A1.pdf. Next articleMight Midwives Help Fill Rural Maternity Care Gaps? Jordana Barton serves on the advisory board of the Texas Health Improvement Network of the University of Texas System. She is senior advisor in community development at the Federal Reserve Bank of Dallas, San Antonio Branch, supporting the Federal Reserve System’s economic growth objectives by promoting community economic development and fair and impartial access to credit. Her focus areas include the Community Reinvestment Act (CRA), community development finance, digital inclusion, financial education, affordable housing, workforce development, and small business development. Barton is lead author of “Las Colonias in the 21st Century: Progress Along the Texas-Mexico Border” (2015), author of “Closing the Digital Divide: A Framework for Meeting CRA Obligations” (2016), and the book chapter, “Preparing Workers for the Expanding Internet Economy” in the Federal Reserve System publication, Investing in America’s Workforce (2018). Barton serves on the Steering Committee for San Antonio’s Digital Inclusion Alliance and the Digital Opportunity for the Rio Grande Valley (DO4RGV). She is also on the Board of Directors of SA2020. In 2018 she received the “Federal Policy Champion Award” from the Coalition for Local Internet Choice, and the “Community Broadband Hero of the Year Award” from the National Association of Telecommunications Officers and Advisors. Prior to joining the Federal Reserve, Barton served as vice president for community development banking at Capital One Bank. In this role, she built community partnerships and managed investments to promote economic revitalization and access to financial services in low- and moderate-income communities. In 2012, she was awarded the FDIC’s Pioneer Award in Community Development, and Capital One was awarded Corporate Philanthropist of the Year in San Antonio by the Association of Fundraising Professionals. Barton also served as vice president for development and communications for the microenterprise/small-business organization Accion Texas (now LiftFund). She was a member of the leadership team when the organization won the NEXT Award for Opportunity Finance from the MacArthur Foundation, Wells Fargo and the Opportunity Finance Network in 2007. Barton grew up in Benavides, a rural community near the Texas-Mexico border. She holds an MPA from Harvard University’s, John F. Kennedy School of Government. The views expressed in this publication are those of the author and should not be attributed to the Federal Reserve Bank of Dallas or the Federal Reserve System.